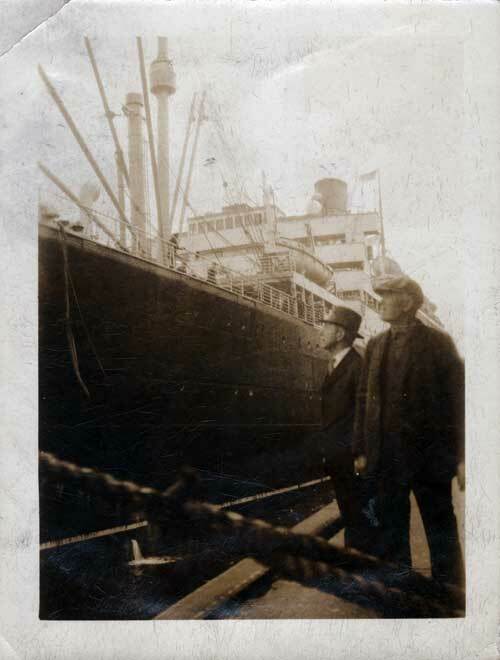 Cabin Passenger List for the SS Laconia II of the Cunard Line, Departing Saturday, 2 May 1931 from New York and Boston to Liverpool via Queenstown (Cobh), Commanded by Captain M. Doyle. From the Estate of George W. Sweet, passenger on this voyage, includes photographs and newspaper clipping of the Sweet Party. 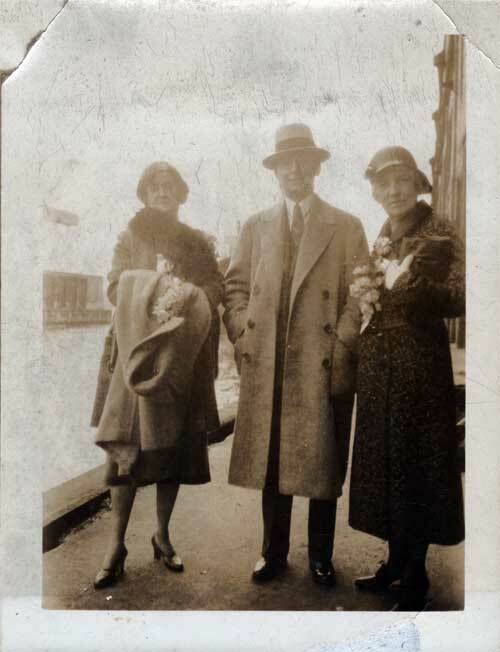 President George W. SWEET of the Studebaker Sales Company of Boston, with his wife and his mother, Mr.s John R. Sweet, on board the SS Laconia as they left Boston on May 3, 1931 for a two month tour of the continent. Mr. Sweet has taken along a Studebaker "President," which he will drive while abroad. 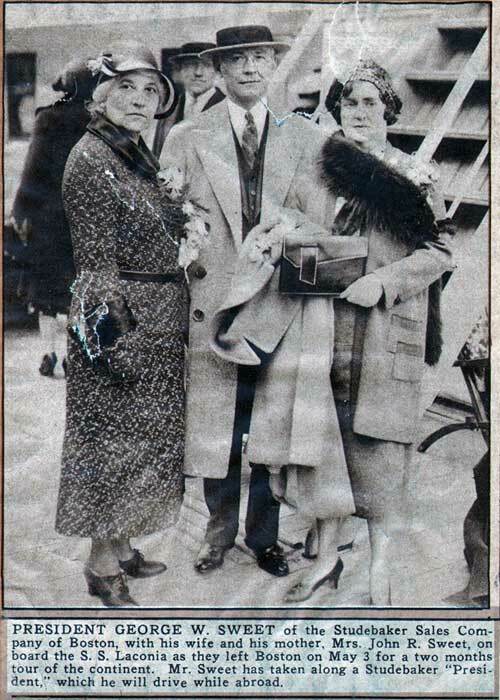 Passengers returning to Europe in Cunard Line steamers may—on presentation of the necessary documents—viz. :—Transit Certificate Form 514 completed, and the Company's receipt for Head Tax paid—obtain refund of Head Tax from the Purser, providing the Passengers have left the U. S. within the prescribed period of 60 days, and the completed form 514 has been filed with the U. S. Authorities within 120 days of entry into the United States. Although the period of time between arrival at a Canadian port and departure from the United States may exceed 60 days, this does not necessarily mean that persons in this category are prohibited from securing refund of Head Tax, so long as the actual period spent in the U. S. does not exceed 60 days. The application for refund, however, must he filed with the U. S. Immigration Authorities within 120 days of the actual date of crossing the border from Canada into the U. S.
Note :—Passengers who have not paid the Head Tax, in consequence of their holding return tickets or being in transit to points outside the United States, will kindly complete Form 514, which they will receive from -the Immigration officials at New -York, and for-(ward smile to the Cunard Line, 25 Broadway, New .York, as soon as possible after departure from the United States, or hand to the Purser of the steamer in which they return to the United Kingdom of Europe. ALL OVER The World $1 A YEAR ! Follow the frail of adventure with us ... over the seven seas! Taste of romance on oral-reefed isles "down under the line" ... thrill to the mysterious spell of jungle and desert... get on intimate terms with the world, from Montmartre to the gorgeous East! The Cunard Travel Club will bring the whole world to your home. Join now! 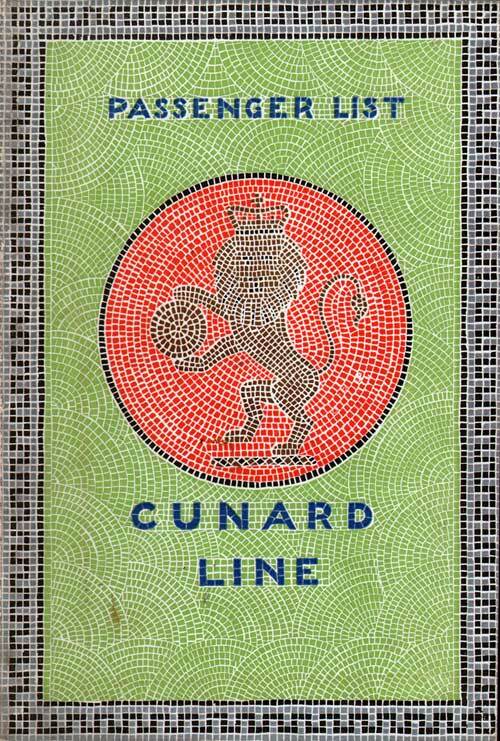 (1) The Cunarder, beautifully illustrated monthly magazine. (2) The Running Tide, intimate Club Bulletin. (3) Travel booklets from foreign countries. (4) Answers to your travel inquiry letters. (5) Convenience of Cunard Budget Plan of Savings if desired.